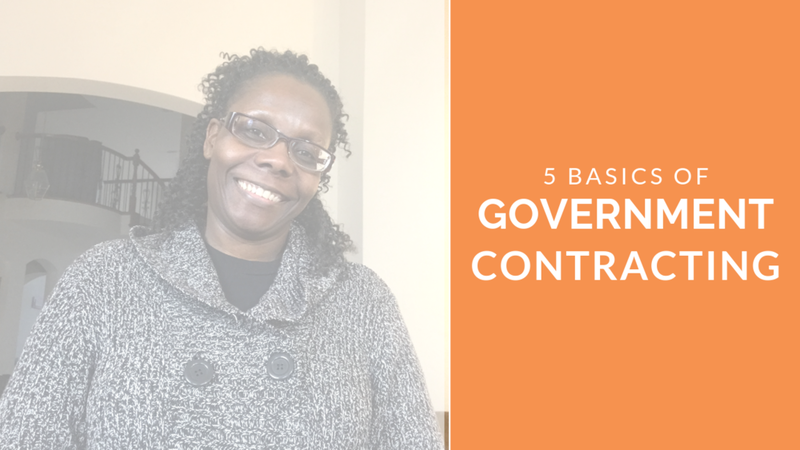 This is a very important first step to qualifying as a contractor with the federal government and being able to bid contracts. Solidify your business preferences : Having a clear picture of your business as it stands today and what it will take to get you to where you want to be in the next 12-18 months is very important. Also, a very important step as you go through the process of identifying who's your customer in the federal marketplace. Identify your customer and validate: FYI all agencies are NOT your customer! Which is why this is a very crucial step that you don't want to skip. It will save you a lot of time and money bidding projects you have no shot at winning. Don't by-pass this. Many contractors get frustrated with the bidding process because they don't have a plan and they don't know ALL the numbers they should be including into their bid which leaves the short at the end of a project, IF they're lucky enough to be awarded the contract in the first place. Although, most agencies in the federal market are smart enough to know that your bid is too low. Have a process you will follow with timelines. Create your bid process: This will be a game changer for your business! Breakdown solicitations: A craft you must learn how to do efficiently if you ever plan to win a contract. Just so you know, unresponsive bids are worth nothing more than going in the trash. And if you think about it, it's the first presentation to the contracting team of what they can expect from your company. Well... maybe not, but that's how they look at it. Bid work: Collect all of your numbers and submit along with any required documentation on time to be considered for a project. What a great way to build your capacity to perform on projects when you're just getting started in the federal market. Use resources to build your capacity to perform: So many people miss out on opportunities because they believe they can do it on their own when just getting started and they have limited resources. There are a wealth of resources available. You just need to know where to find them and then how to acquire them. Build KEY teaming relationships: You're going to need people on your team like a banker, CPA, mentor, attorney, vendors, contractors, bonding agent, insurance agent and others that may be required to build your business and win contracts. You can't wait until you need a friend to start building a relationship with someone to be your friend. You'd never ask someone to marry you on the first date, I don't think you would. Would you? It takes time to build the like know and trust factor. Which makes things a whole lot easier when it's time to call in a favor or ask for a resource. Yes, start on this right now. Are you working with a federal contracting mentor to grow your business right now or are you still thinking about working with one? I’m offering a limited number of NEW CLIENTS special 4-hour packages during the month of December to help you get some important tasks that have been lingering throughout the year, that has been preventing you from being qualified to bid federal projects, done before the new year. PLUS... you'll get 10% off for 3-months if you decide to move into one of my regular monthly service packages as my way of saying Merry Christmas and Happy New Year. Want to set up a call? Email me now!